Home>News of Containers > Australia’s biggest container port has been sold! Australia’s biggest container port has been sold! The sale has come in conjunction with Australia’s state government’s desire to sell a number of assets, in order to help fund new roads, rail and other projects. 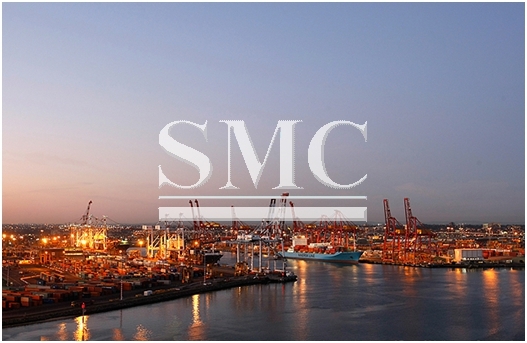 The purchase of the Port of Melbourne has come from a group of investors, led by QIC Ltd., the acquisition has been made on a 50-year lease at a staggering fee of $7.3 billion! In an email based statement released by QIC on Monday, they stated that they have teamed up with Australia’s Future Fund, Global Infrastructure Partners and Canadian pension manager ‘Omers’. The newly purchased port is by a considerable margin Australia’s biggest and handles 2.6 million containers per year, with approximately 1’000 motor vehicles entering the port every day. Victoria, the nation’s second-largest state economy, will use the funds to build a new underground rail tunnel and remove 50 rail level crossings. The group have stated they intend to work closely with the government in a bid to maintain what is already a prospering port, whilst also investing further to allow the port to continue its growth in line with ever-changing global trends. State Treasurer Tim Pallas said the winning bid was above a previous expectation of about A$7 billion. "To say that this is a good day – that it was a pleasant surprise – I think would be an understatement," he said. QIC, a Queensland state-owned investment manager, has invested A$800 million on behalf of clients including the Future Fund, Australia’s sovereign wealth fund. Borealis Infrastructure Management Inc. invests globally in infrastructure assets on behalf of Omers. Good news for Australia and good news for the Australian government who will now have extra cash to utilize in other areas in need of investment.